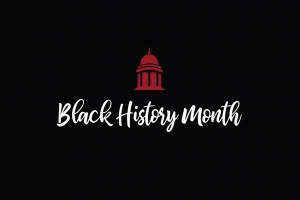 SHREVEPORT, LA — Centenary College will sponsor several community events to celebrate Black History Month in February 2019. Students, faculty, and staff on the College’s Diversity Committee have organized two events, and others have been organized by the student-led Black Student Union. Roache stresses that the activities planned at Centenary to celebrate Black History Month are not only reflective but also represent a call to action. “Detroit” takes place in the summer of 1967 when rioting and unrest starts to tear apart the city of Detroit. At the Algiers Motel, several policemen start to forcefully and vigorously interrogate guests to get a confession. By the end of the night, three unarmed men are gunned down while several others are brutally beaten. The play follows five black restaurant workers in the kitchen of a “whites only” Texas diner in May 1968, between the assassinations of Martin Luther King, Jr. and Robert F. Kennedy. Free to Centenary faculty, staff, and students with valid ID; $5 for the general public. 50 Passport Points are available to students. A showcase of student talent. The event is free and open to the public, but participation in the talent showcase is open only to Centenary students. Students will march silently around campus to give respect and homage to people who have paved the way for African-American, as well as people who have lost their lives to injustice, violence, and police brutality. The Centenary Film Society is also co-sponsoring a film series, “Celebration of Black Cinema,” at the Robinson Film Center in downtown Shreveport. The series features the work of four contemporary black film directors with one screening each week in February accompanied by a post-screening discussion led by members of the community. For more information and tickets, visit robinsonfilmcenter.org.